* All the numbers are very rough estimates. * Budget is mostly the money I needed to make a living while making this game. I deliberately reduced my way of living to avoid unnecessary expenses. * Gross revenue is the total amount of money the game generated, cumulative on all platforms. * Net revenue excludes all taxes, platform shares, refunds... so basically, the money that got back to me. 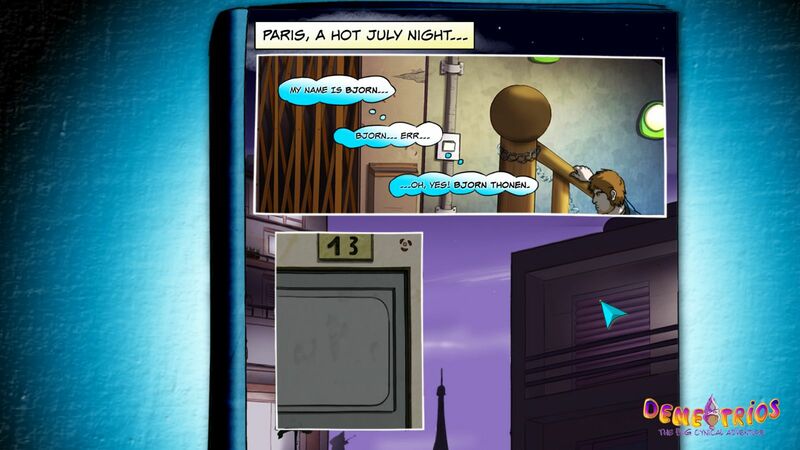 Context : A 33-year-old French programmer makes a silly adventure game by himself and attempts to sell it! Today marks the two-year anniversary of this BIG adventure! I've been wanting to write this Post Mortem for a long time, but I kept delaying it. Most are posted right after the release of a game so you only get a short-term view. Instead, I thought it would be much more interesting to wait & see how my little indie game performed long-term! This especially makes sense as Demetrios is a one-of-a-kind project. 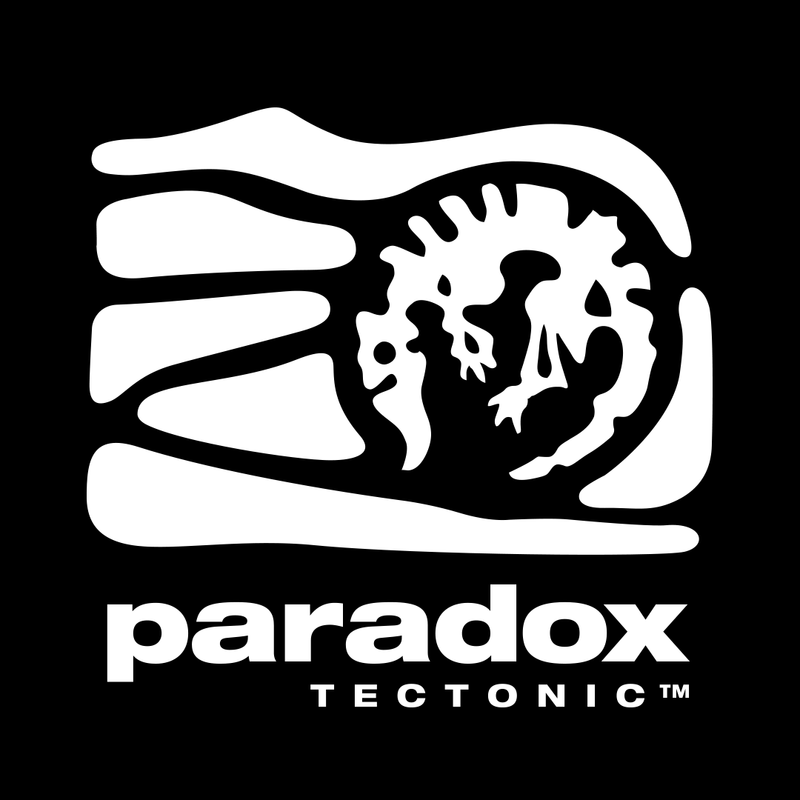 How many adventure games do you know that have been released on every single modern gaming platform, with all versions developed, ported and marketed by a single man? I am a 33 year old French guy. I started programming games at the age of 10 on an old Amstrad 6128 computer! (similar to the more popular C64) But I only made a game intended for sale recently. 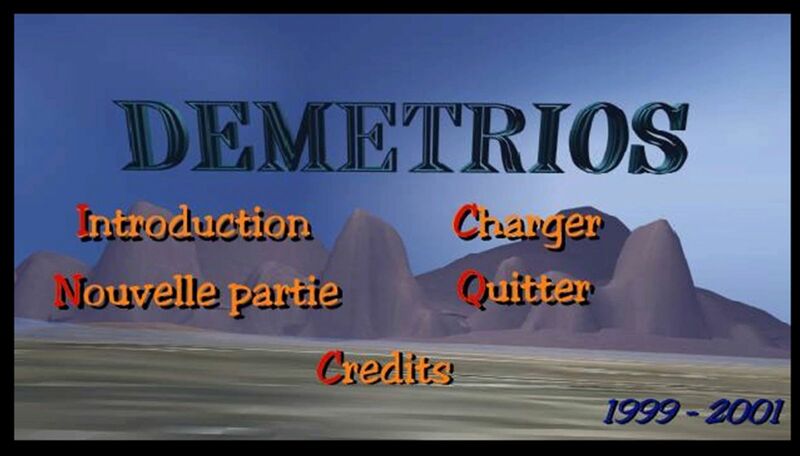 Demetrios is a game I started in 1999 when I was in high school, after playing Broken Sword 1 & 2 on PS1. 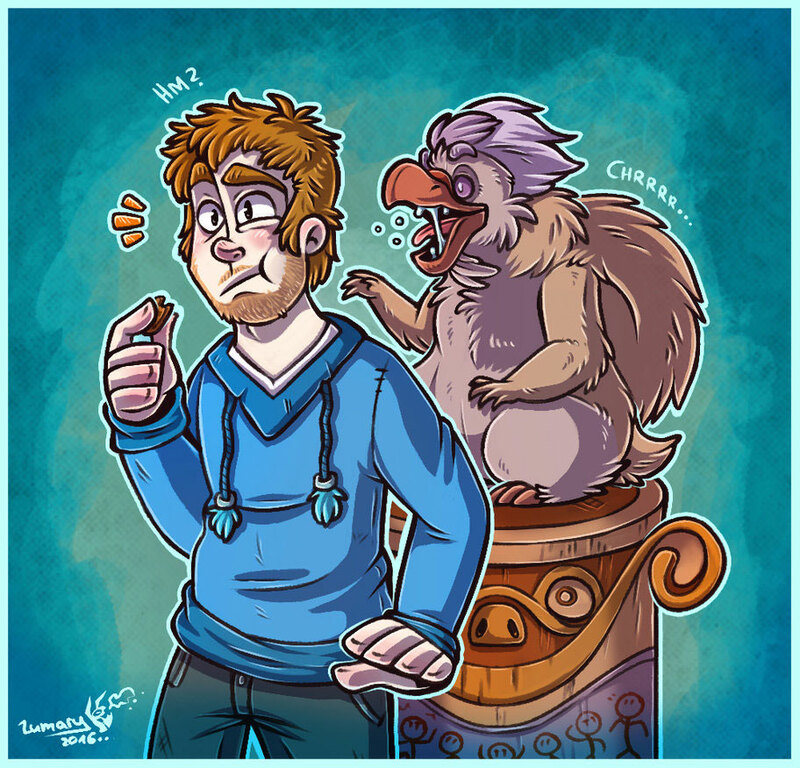 I thought they were awesome, so Demetrios started kinda like a fan game! Then took another, more personal direction. It was a first person adventure, focusing on silly interactions and filled with stupid characters. Back then, I completed it in 3 years on my free time. Of course, in the early 2000s it was pretty much impossible to release a game without a publisher, so this original version was never released and I forgot about it for years. How the final game looks on PS4. Later on, I studied computer science at school and university and got a job at a service company for 7 years. But I never forgot my will to make games as a living someday. One day I was fed up with my job and decided to give it a try. And the most obvious choice was to remake Demetrios. There was a whole adventure game out there, "ready" for people to play, but no one was able to! I made sure to reduce my expenses as much as possible and ensure I could make do with the bare necessities. I knew beforehand that doing just the PC version wouldn't be enough to make a living, so I planned Demetrios to be easily scalable and playable on any device from the start. 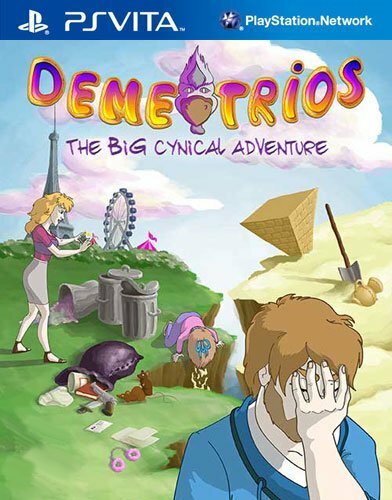 So, "Demetrios – The BIG Cynical Adventure" is actually a full remake of that first version I did as a teenager (all the figures at the top only take into account the time spent on this remake) Except I redid everything and improved it vastly. How do you make a quality game on a tiny budget? I started programming the remake with a prototype, which was just two rooms. I made them feature-complete so it would be exactly be like the final version. (of course it evolved a bit afterwards, but not too much!) This helped me a lot as I had the game engine ready, I could gauge if the game would be fun and then expand by making new rooms by following the same pattern. I was very bad at doing perspectives, so to make the first two rooms, I used a quick 3D software called “Sketchup”. Throughout development I re-did the lines / colors of that first room at least a dozen times...! Even though I was much older and as such, it was made in a much more professional way, I intended to keep the tone of the original game – in particular the humor and all the possible stupid interactions. This makes Demetrios pretty unique. I call it the "most professionally amateurish adventure game" available! 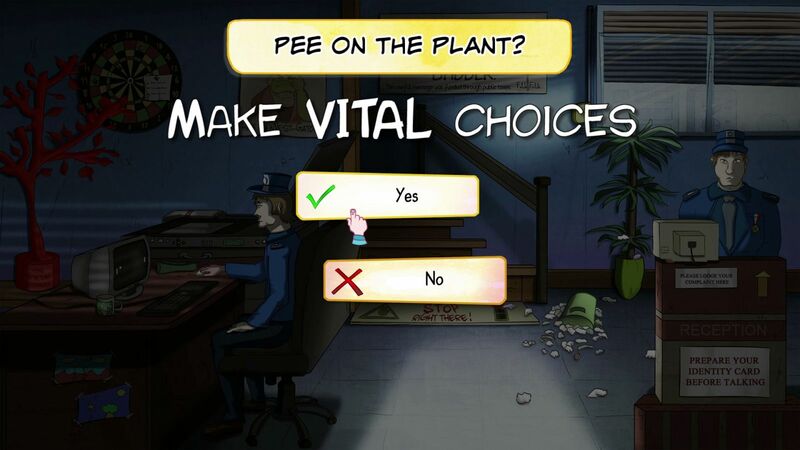 How many consoles games do you know that let you pee in a police department or crap on a photocopier? I worked on this project part time before leaving my job, then full-time for almost two years. Aside from family time, it took all my time. About 8-10 hours a day, weekends included. I never stayed up at night though. I always went to bed before midnight. I need 8 to 10 hours of sleep anyway. I kept everything from the original version and added a lot of stuff. Chapter 5 (the graveyard part) was almost scrapped during development because I felt it didn't bring anything to the story. However I kept it because it's a nice change of pace, with only puzzles and no characters to talk to. 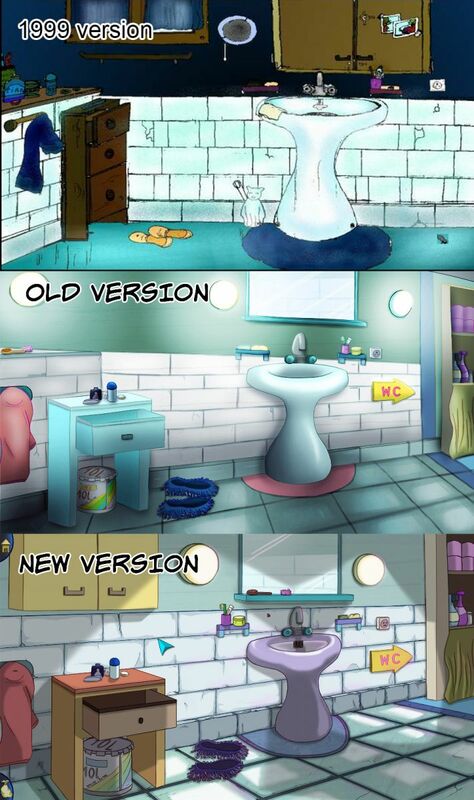 Here's an example of art that evolved while doing the remake. 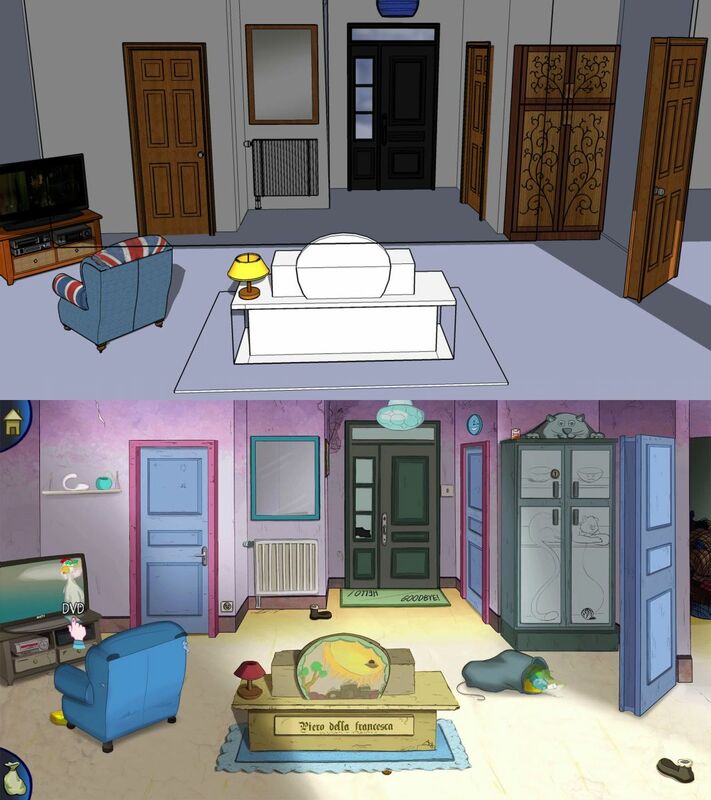 The top screenshot comes from the original version from 18 years ago, the middle one from an alpha build of the remake, and the bottom one from a final build. Quite the improvement! The game is pretty long for the genre (~10 hours) and text heavy. If not for the puzzles and the always-short dialogs, this could be seen as a Visual Novel. I wrote everything myself in English and later translated it into French. But I intended to make it available in more languages. I feel this is very important for an adventure game. This was a challenge considering all the text involved, but fortunately I was able to find reliable translators, most who were beginning in the field and were especially looking for a good name on their CV! As such, the game ended up available in 6 languages, including Spanish, German, Italian and even Russian! Quite uncommon for a low budget adventure game, I believe. Aside from the text length, another thing ended up being an obstacle for translations – the text in graphics. Some of the humor comes from the graphics themselves, and having to translate these was pretty annoying because I needed to do it myself and export all these pictures for each language. This was a lot of work! I'll be more careful about that next time. Many other things were added for the remake. In particular, a hint system through collecting cookies hidden on the screens. Each room has three and you can check how many you've collected and how many you're missing from each one! The point was to provide an in-game way to get help. How many times have you been stuck in an adventure game and had to scavenge the internet for a walkthrough, sometimes getting unwanted spoilers in the process? Well, the cookies don't give you the solution. They give you contextual hints! And if you're stuck really bad, you can eat several to get the exact solution. Little did I know that this would end up as one of the most praised features of the game! Some people spent hours, straining their eyes to look for barely-visible cookies, even forgetting the main plot sometimes! Making a Full HD (1080p) 2D game isn't quite as easy as it looks from the programming side! I had no idea until making this game, but even a 2D game can be GPU intensive. At first, Demetrios wouldn't run well on Intel HD graphics or other integrated chipsets, and it took a while to figure out why. For a few months, the YoyoGames forum was closed – this made it difficult to get replies during some parts of development. Another technical issue relied on the texture pages. Considering the game has 1080p art, the initial loading time was pretty long. On Windows, GameMaker loaded all the texture pages when launching the game – which means loading ALL the graphics within the game on startup! This worked fine for 8-bit graphics, short games or tiled-based ones – but not for long adventure games! One last thing I had problems with were the particles. Initially, Demetrios had some cool particles effects going on in some screens. However, right before release on PC, I noticed the game crashing without explanation on some computers. But not mine. I couldn't reproduce it, so I had to remove them entirely and replace some important effects like rain with generic sprites. Less pretty but at least, the game was perfectly stable for everyone! But the biggest problem I encountered... is not directly related to the game at all. For a long while, I just couldn't get a working internet at home. No – f***ing – internet. When I planned to start my game development career, I had saved up money from years of working my day job. Enough to buy a small apartment, which would relieve me of a lot of expenses. So when I quit my job, that's exactly what I did! I called Orange (the internet provider in charge of all the phone lines in France) to get a line hooked up. A technician came over. The guy took a long while to search all around. Then he concluded this to me : "I'm sorry, I can't hook up a line. I can't even find the building phone box. The mayor's office has screwed you. They owe you a phone line." I was confused. 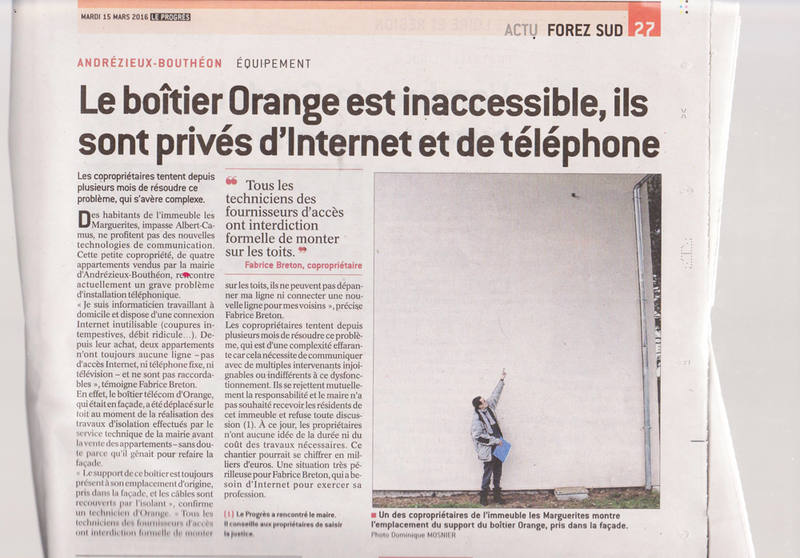 Orange, the owner of all phone network in France, couldn't install a phone line..? That didn't make any sense. Later on, I understood that this "building phone box" (which is my translation, it's called PTT or PC) is installed in every building, and that's the way to connect each apartment wire to a bigger cable going down the street. After a long search, they managed to find the building phone box... buried under glass wool, in the roof. The Orange technician told me "That's crazy, this is insane! They must have f***** up big to put it there!" Until one day... It stopped working. I'm not sure if this was due to weather, but the wire must have moved and it wasn't connected properly to the phone box on the roof anymore. This was my internet for months. 0.16 Mb download speed. Which is about 20 KB per second. Worst than an EDGE mobile connection. And disconnecting about 15 times a day. Perfect to work with! I was getting extremely worried. This happened a few months before release. How could I do marketing for my game, upload packages... With that kind of connection?! And that's when the real trouble began. In total I had visits from about 10 technicians from the internet providers. They all said the same thing. "I'm sorry, I can't fix it. We're not allowed to climb on roofs." They all left without doing anything except making me sign a paper of their visit. Most of them came without any way to climb, anyway. One told me he had never seen anything like this in his 20 year career. I spent hours on the support line. They said they would bring a basket to go on the roof, but they never did. Support never communicated with the technicians, who were subcontractors. Each time a technician came, I had to explain everything all over again. And it was never was the same person. It never ended. I also realized that my neighbors had the same issue. 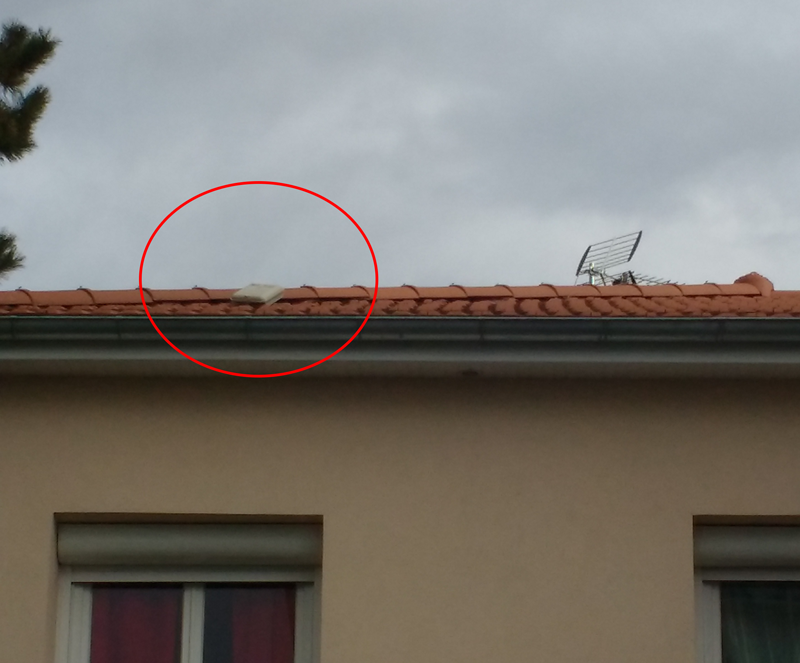 After two years of living there, two of them still had no internet at home, not even a wall socket! They had all tried getting internet but faced the same obstacles I did and gave up. The mayor asked their technical service team to do some renovation before selling the apartments. These people are not supposed to do such work; they're not home builders. But the mayor did not want to spend money on this. When they added isolation to the walls and the roof, they temporarily moved the building's phone box in the roof... and forgot to put it back. So they left it, on the roof. Open. Yup, the wires freely open to all winds, the moisture, the sun and the rain! Of course, this didn't do me any good – my line just got worse, totally unusable. I was getting stressed out. One of my neighbors managed to close the box cover before it got filled with water and could cause electrical problems. The infamous Orange building phone box on the roof! 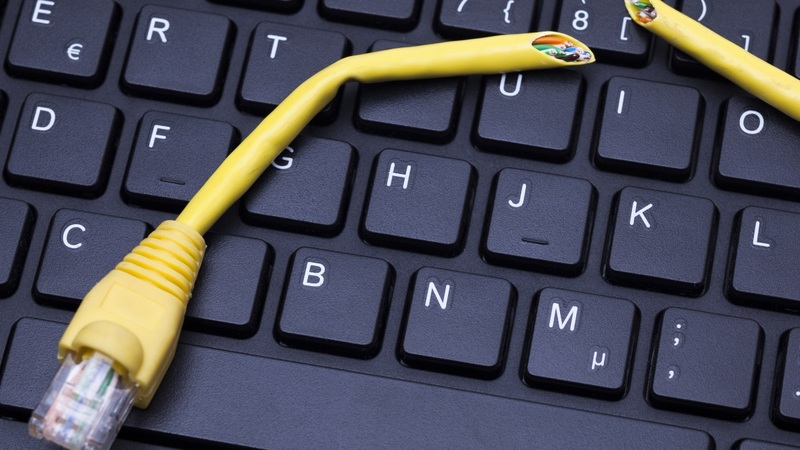 It was impossible for us to repair the line ourselves, because only internet provider technicians have the technical knowledge to fix it. This was a physical problem on my line, so changing internet providers wouldn't have done any good either. Only Orange technicians are supposed to access that phone box, but they're not allowed to climb roofs. Later on, I asked for a meeting with M. Mayor, Jean Claude Schalk. He cancelled it, stating he was busy, and instead, they organized a meeting with one the mayor's consultant and the head of their technical service. I explained everything. When I said it was a hidden defect, they laughed at me. How could I have known about all this trouble? I couldn't. There was no way for me to be aware of this issue before buying. How is this not a hidden defect? They insisted that Orange screwed up and initially put the box in the roof, years before. Which is impossible, because the phone box's bracket is sealed within the wall isolation – which should be enough proof! An Orange technician noticed and confirmed this fact for me. They don't even have a checkbox for "roof" on their intervention forms for the box location. Besides, Orange confirmed that according to their data, it's located on a wall. Not a roof. At the meeting, I said the existing, initial phone line in my apartment was cut off from the wall. The mayor's technical service guy said this was due to the sun rotting the wire. The SUN! I claimed I gave up everything in my life to do this game development job and if I couldn't get internet working, I was ready to kill myself. I was dead serious. I just couldn't believe it. They said "No big deal, a lot of people live without internet". And then "Do you think we would use public finances for private matters?" Yeah, right. It's not as if I'm not paying taxes in YOUR city, and I GAVE you almost a hundred thousand bucks for this apartment...! I wasn't even asking for money. I was asking for help. The least they could do is help me, call Orange and set something up with them. But no, they couldn't care less. I had never seen such bad faith in all my life. The people responsible for this mistake were the mayor's technical service. But they just wouldn't admit it. Somehow I think they knew they were wrong, but they just didn't want to blame their own service for the blunder. Of course Orange wouldn't do anything either. I kept asking, to no avail. They were rejecting the fault as the mayor's, while they did the opposite. An unsolvable situation. I talked about all this with my neighbors. We were totally pissed. Three of us apartment owners tried to arrange a meeting with M. Schalk. We went to the mayor's office and they gave us an appointment. The day after, I got a call. Our meeting got cancelled without explanation. The girl I had on the phone said she had warned the other apartment owners about the cancellation. After checking with the neighbors, she never did. Yet another lie. Later, I called them back for proof, a letter or anything written that they cancelled our meeting. They outright refused! I considered suing the mayor's office. But I was just an individual, without much money at the time. I couldn't go along with that kind of procedure, which would have taken years – and in the end, I could even have lost. The mayor's office can afford good lawyers, but I couldn't. It was the same for the neighbors, unfortunately, and they had lost the right to sue the mayor for a hidden defect because it had been more than 2 years since they moved in. After a while, exhausted by this issue, I talked about it in a local newspaper – "La Tribune Le Progrès". They were in awe about it. Yup, that's me, showing the proof! It had no effect. Nobody said anything to me after this, nothing changed. At some point, I considered just moving. But when you've bought a home, it's not so easy to just part with it. It's so much pain and effort to move, especially within a year, and finding a buyer is tough unless you're willing to lose a lot of money. And the bigger problem - who's to say the next resident, the buyer, wouldn't sue me for not mentioning the issue? Who would buy an apartment without any internet in this day and age? Could I pass this poisoned apple to somebody else? I'm not this kind of guy. I gave up. So, you may be wondering... In the end, how did it get fixed? Well, the answer is simple. As of today, I still do not have a fixed internet connection at home. The phone box is still swimming on the roof building, free for everyone to see. I did find a solution though... I'm relying on 4G mobile connection for everything. Despite my bad luck, I managed to get at least one break – a 4G antenna was installed close to where I live, and the data thresholds were increased a lot on mobile subscriptions that same year. 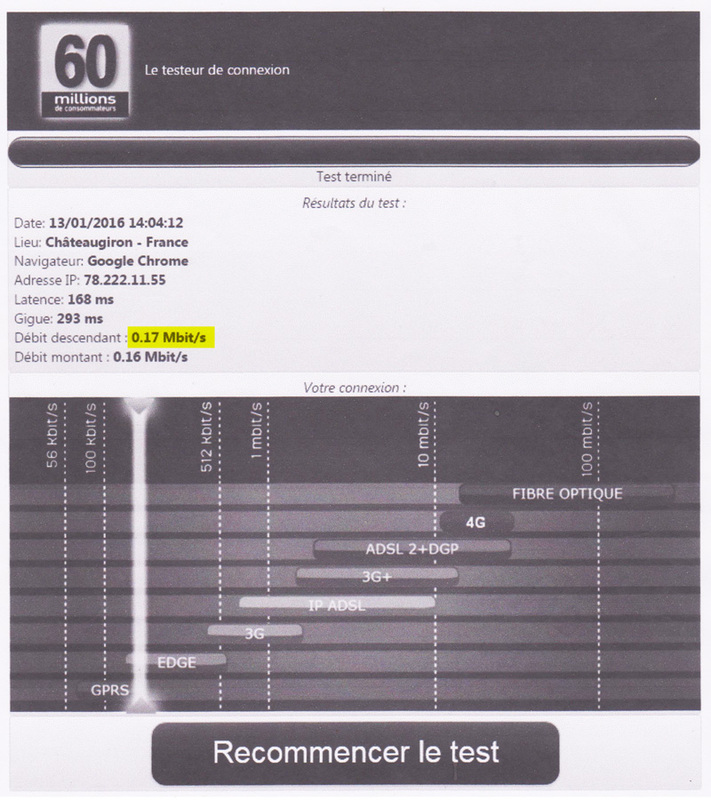 I still need to be careful each month not to cross the data thresholds, but fortunately, they are high enough here in France so I can work safely without worrying too much. Optical fiber has been announced in my city, so I'm waiting... Hopefully next year? Considering the optical wires are installed along the same routes used for phone wires, I expect problems again to get optical fiber in my building. Some technicians came over recently and said pretty much that. I don't know if this situation will ever end. Oh well... As long as I have a working internet through mobile... I should be fine. How can bureaucracy be so f**** up that it's more difficult to get a working internet connection at home than making a full adventure game…? I started announcing the game in late 2015. I thought a good way to start communicating the title would be through a Kickstarter campaign. Checking some other campaigns for reference, I was very careful and had low expectations, so I set a goal of 2,500 € (in retrospect, I think this was too low even for a first game as it probably made it seem not serious enough, yet it was). I waited a long while before posting it to ensure enough people would be contributing – whether it's friends, former colleagues, adventure gamers or just some people interested in the project. It worked pretty well. The game exceeded its goal, it was enough money to finish the development, and I was starting to build a small community! 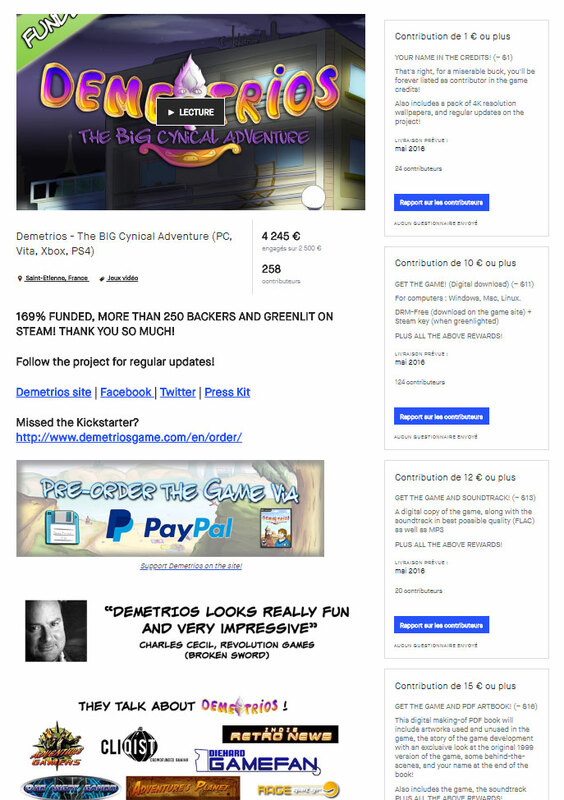 Demetrios was released exactly at the time frame announced on Kickstarter, in May 2016. I had made a very good estimate of the work left! And I also delivered everything promised, including the PC DVDs. And even more! You will notice that the Kickstarter didn't reach the consoles stretch goals. I still managed to release it on all the consoles afterwards. Releasing a Sony PlayStation or Xbox game was a dream of mine since childhood! I just HAD to do it. A French distributor (NOT publisher) contacted me at some point and thought I was joking with such low stretch goals for consoles. 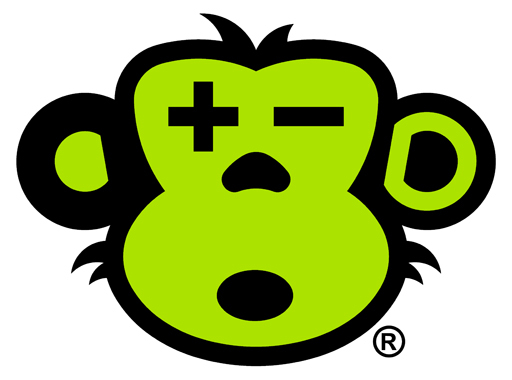 They said they could help bring the game to many stores and consoles, with a share of the profits. They said it was way too bothersome for an individual to handle all the distribution, contracts, ports and administrative stuff by myself. I ran a Greenlight campaign at the same time as the Kickstarter. I'm pretty sure the bad reactions were mostly due to the graphics. I did improve them quite a bit for the final release, but Greenlight happened a long while before that. People probably opened the page, thought - "Oh, just another ugly shovelware game made in two weeks. No thanks." - then clicked "Next" two seconds after. After a day or two, visits to the page slowed down and stopped. But it was nowhere near the top, far from it. I didn't get discouraged though. I tried to direct my (then small) community to the Greenlight page, and reached out to a lot of people directly. Many devs, of course. I felt like I was begging for votes. I hated doing that, and I still feel like I was cheating the system, but what other choice did I have? Give up after two years of work? It worked though – the game finally got greenlit after three weeks. It never reached anywhere near the top, but at least I would be able to release it. Painful memories, realizing my game just wasn't as attractive as I hoped for. I did pretty much all promotion for the game over the internet. This included social networks and obviously gaming sites. I pretty much contacted all and every gaming site available at the time, whatever the country they were based in! I built myself a huge contacts list. I know so many people in the gaming industry now! A lot of gaming sites reported about the release and reviewed it. No big popular sites, but an impressive number of average to small sites and blogs. Streamers were an obvious target. I distributed a lot of keys, being careful not to give them to scammers (which is such a hard task though...) I reached hundreds and hundreds of them. At first I was sending custom made emails. So much effort! And so little result, unfortunately. Out of these hundreds of emails, I'm not sure I got more than ten replies. After a while, I gave up on doing custom and started sending mass emails. I did go to two local events in France (one before the release, one after) However, these did not seem to have any effect on sales at all. When you take everything into account, events are pretty expensive, so I'm pretty sure they're only worth it if you've already got a popular and attractive game. Speaking of events... In 2015, I spent $75 to submit my game to IndieCade. They were supposed to check a game build for approval. I never got any reply. Nothing at all. $75 flushed down the toilet. Everything was ready. From the start, all the builds were available (Windows, Mac, Linux) and it was translated into 5 languages. It was well tested and no bugs reported. What could happen? I planned the release date carefully. May 31st. A Witcher 3 DLC was released the same day, but that wouldn't affect my little game. There was no direct indie competition that week. The Steam Summer sales would only happen a month after, so this seemed to be suitable. 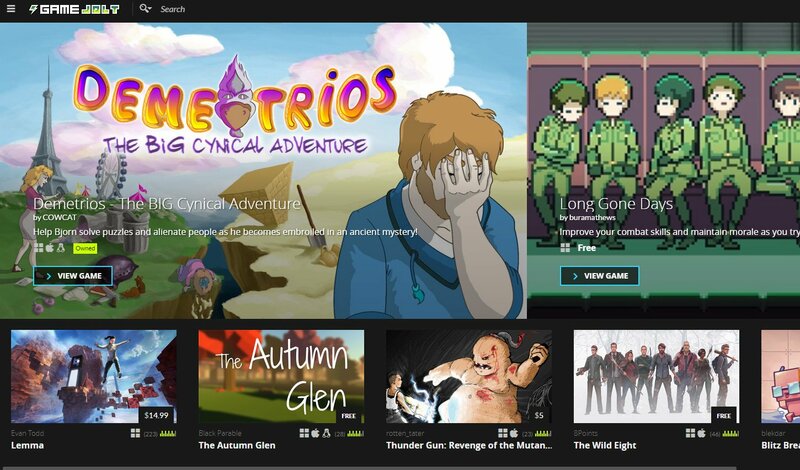 Earlier that year, I had posted a demo of Demetrios on GameJolt, a famous website for free games, and the demo got some momentum. They were opening their store, which was restricted to some approved devs at the time. I figured this could be a nice opportunity and agreed to sell the game there one week before launching everywhere else! One week later, I was about to push the "Live" button on Steam... And just a few hours before the intended release time, got a bug reported from an early player. A bad one. The game was slowing down progressively during play, becoming a chore on slower computers. I was stressed out. I took those few hours left to check the code. I found the bug! The ambient sounds weren't ending properly, so they stayed in memory and caused a leak. I fixed it and submitted a new build just before release. Phew! Then I finally pushed the "Live" button. The game never reached the "Newest" tab, as it only lists the most popular games. I know, there are so many releases... but it's still infuriating that the game you've been working on for years won't even be included in a full list of the most recent releases. It didn't turn out exactly as I thought. 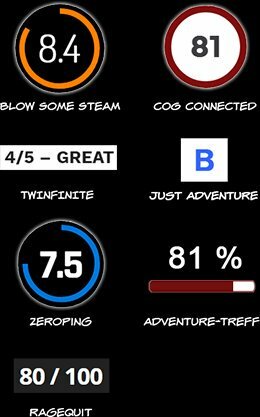 Not necessarily the ratings themselves, but the content of the reviews surprised me. No word about the length. Yeah, I was naive and thought everyone would "see" the game the way I see it, but it's definitely not what usually happens. It still came as a surprise. Kickstarter players got the game about two weeks before release, and I heard their feedback – it was very positive and nobody said anything bad about the humor – on the contrary! To me the whole point of being independent is to be daring, to try new things. 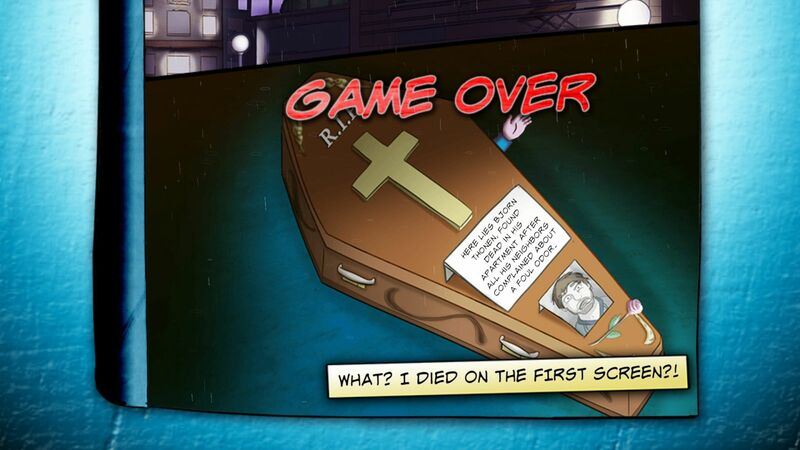 This resulted in the game being quite different from your usual Point & Click, especially on the humor side. In retrospect, it's obvious. I used very personal humor so I shouldn't have expected most people to appreciate it. It was a niche inside a niche. Reviewers didn't understand that the childish side of it was purely intended. The game is full of childish cynicism, and they probably expected something different from the "Cynical" part in the title. They also didn't understand why there were so many descriptions for everything on screen. They took this as failed attempts to make humor. Let me state this clearly once and for all – I did not try to make a joke about everything. I just wrote descriptions in a more interesting, twisted way than the generic "This chair is brown" you find in so many Point & Clicks. One part especially divided opinions – the toilet humor. I was really surprised to see some people get offended and the game reduced to that aspect. I mean, it's a very minor subset of what happens within the story, and yet everyone seemed to refer to Demetrios as "the toilet adventure." After a month, I was fed up with this and I implemented a change. The toilet humor would become an option you select at the start! This was hard to add because most of the translations were already in, but I managed it. It kinda worked, and the reviews improved a little after this. 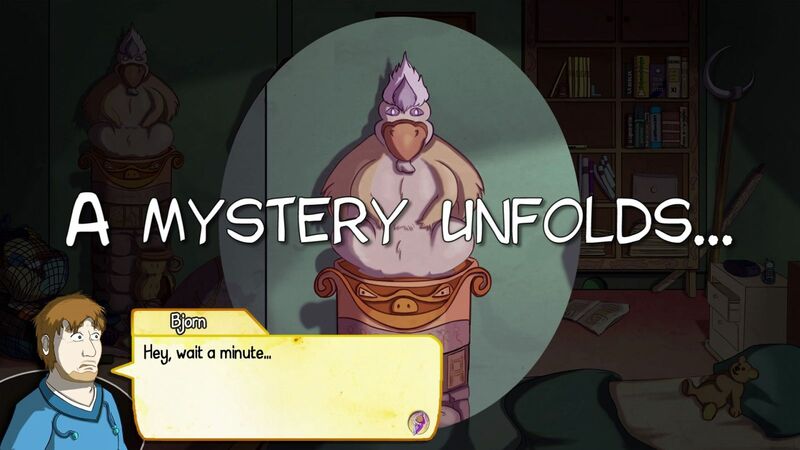 I thought Demetrios would be praised as one of the longest and full-length indie adventure games released in modern times, especially for its price. I also felt it was one of the most varied, with the mini games, varied objectives and different ways to solve the puzzles throughout the game. That's also one of the reasons behind the "BIG adventure" subtitle. $9.99 seemed like the appropriate price, but most indie adventure games with a similar price are just between 2 and 5 hours long. I thought this would be a good selling point (and still do) but I now realize many people don't mind paying that much for shorter and more repetitive games as long as they're fun. Finally, I was a bit disappointed that most of the reviews didn't mention the music. And if they did, they said they were repetitive. I composed half of the tracks myself, and the other half was either royalty free music I carefully picked and bought, or custom music offered by composers to have their names credited. Maybe I'm blind (or deaf, for the matter!) But I really love the Demetrios soundtrack and think it's high quality. It contributes to the game's unique atmosphere. To me, music is even more important than graphics in video games. So many games nowadays feel lazy, either silent or using bland movie-like orchestral tracks for ambient. You don't even notice them. That's probably the point, but I hate that. Honestly, can you even remember the music from the last AAA game you've played? Aside from main title themes maybe... I clearly can't. I know it's not a general opinion, but a game isn't supposed to be a movie. If a game music doesn't make me want to dance, it's not good. There's a reason why the best soundtracks came from the 80's and 90's games (or from indie games inspired by them) Yes, they're busy and repetitive – but also so memorable! Take Chrono Trigger's battle theme. Just hearing it makes me want to play again. That said, I'll be more careful with my next game. You can't just have a bouncy, busy music all the time – even if it changes regularly. That's where the "repetitive" complaint came from. I will try to alternate slower tracks with more busy tracks when there's more "action." The Ace Attorney series is a great example of how a soundtrack should be done in that regard. Some people did cool fanarts! I heavily focused on the negatives here, but obviously, most players loved the game! Even reviewers. The vast majority gave it a 8/10. A few (the ones who didn't like the humor) gave it 5 or 6/10. Actually it's funny but even reviewers who gave bad reviews to the game acknowledged all the work poured into it! I thought adventure gamers would be the main audience. But despite my efforts, the vast majority of them didn't really care for it or weren't aware it existed. As an example, the game was never even referred to in a "Most anticipated adventure games of 2016" topic on the most famous specialized site. I'm hoping many of them will pick it up on discount at some point and enjoy it, so they may be interested in my next games. Getting noticed takes time. One big surprise was the game being very well received among people who don't usually play games, because they usually find them boring. The "non-players" love Demetrios. It's colorful, has fun interactions, it's easy to pick up and play and understand what you should do. Too bad it's very hard to get that public aware that the game exists. 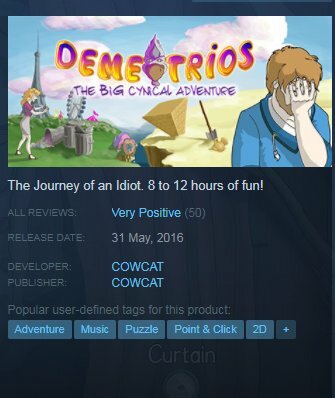 It took two years for Demetrios to reach the 50 reviews threshold to get a "Very positive" rating on Steam! Also, the metacritic for the PC version stands at 72. Nothing particularly great, but not bad either! It's about average. A handful of negative reviews brought it down heavily. If it wasn't for the dividing humor, I'm sure it would be in the green. I shouldn't complain – so many games don't even have enough reviews for a Metacritic, having one is a great thing in itself! I kept asking myself though... Is it bad making an average game? A few months prior, I had used the now-defunct SteamSpy to get temperature of how my game might perform. As such, I had set very low expectations for PC sales – 500 units the first month and 2,000 units in the first year - so I wouldn't get disappointed. Well, I wasn't – but the PC sales barely met this goal. Nothing more, nothing less. For the most part of 2016, I was living with less than 600 € per month. And I didn't mind. I expected it! While some small and average size YouTubers played the game, it didn't exactly go well. The game was never played by any big channel owners. I thought some of them might pick it up for the original humor (there weren't so many humor games released after all!) But... nope. I guess I was too naive to think this would be enough. I had hope with the console releases – but it didn't help either. It definitely seems like a missed opportunity. To this day, I still have no idea how to reach popular channels, and it seems increasingly more difficult. Obviously the genre itself is a problem. Most YouTubers play online games, some do action games, very few play single player narrative games. But even the few popular channels dedicated to adventure games like PushingUpRoses never played it, no matter how hard I tried. "Unfortunately" narrative games are by far my favorites, whatever the flavor (Point & Click, Visual novels, RPG, action-adventure...) Even if this means making games with modest sales forever, I will keep making adventure games. But I intend to make them stand out – and I have a pretty good idea how to achieve this in my next one! Some streamers did play it though! One of my best memories come from two different Twitch streamers who played the game non-stop from the beginning to the end. 10 hours straight. They just couldn't stop before seeing the end. Yes, the game can be quite addicting! More generally, the game didn't stand out. It was well received by players, but not enough attractive to give an incentive for people to buy it. No matter what platform, what store... It's always the same trend. It's stuck in a "vicious circle" it could never break out of. Not enough people interested, not enough sales, no people talking about it, then not enough people interested. I put out a demo on PC to drive sales. There's also one on PS4 and Xbox One. It's quite hard to know if this had any effect. One regret I have though – IMO the first chapter of the game (which is the demo content) is the worst of the whole game. It's a slow start. So it probably doesn't give a big enough incentive for players to get the rest of the adventure. I won't make that mistake next time! Yet... At the one-year anniversary of the game, and two versions released (PC and Vita), I was happy to report that sales up to that day recouped the global development cost. I've been very careful with discounts. Two years later, the highest discount I've offered on PC and consoles is -60%. I've increased the discounts very progressively over time. I haven't participated in any bundles either. Despite the game not selling particularly well, I stood firm on this. I notice so many indie games drastically reducing price or in bundles just months after release. I believe this can make your audience angry, not trusting you anymore and lose money long-term. I'm one to think keeping a positive company image is a make or break thing. That said, even with "low" discounts, I do as many sales as possible! This is a great way to get visibility again. While I usually don't get more than 1 sale per day at full price (and most often zero), it sells almost a hundred units on the first day of each sale! Some people say that with so many releases, we should forget about relying on Steam for visibility. That's far from the truth. You do need visibility on the stores to make sales, there's no way around that! And so far, even with more than 10,000 titles available, it still does a decent job doing that. I actually didn't notice any significant drop. Sure, it's slowly selling less but nothing unusual about that! One "curious" thing I've noticed – Demetrios has been added to many people's wishlists, but it has a very low conversion rate compared to the average. I explain this with the "low" discounts, and the game not standing out enough from the crowd of Point & Click games. This means most people interested in the game still don't own it, and there are thousands of potential buyers waiting for a more aggressive discount or a decisive factor to take action. (Yeah, I admit I also wait for games to reach a few bucks before getting them – but to be fair, I don't have much time to play anyway! The irony of being a gamedev...) I'm actually kinda excited to reach that price point someday so everyone can afford to play it! I had some technical issues with the release on Mac. At the time, surfaces (a specific way of managing graphics for optimizing speed that I used heavily in Demetrios) were partially broken on the Mac export of GameMaker. So I had to circumvent that by rewriting a lot of code by using as few surfaces as possible. More generally, surfaces caused me a lot of technical trouble with GameMaker as they seem to rely a lot on graphical hardware. Besides, transparency effects are a nightmare to handle properly, so I plan to use them as sporadically as possible in my next game to avoid the optimization headaches – though this means the next game might not run on as many systems. Was it worth releasing Demetrios on Mac? Yes, very much so. Despite the $100 year dev licence and having to buy a Mac Mini specifically for this, Demetrios made quite a nice amount of money on Mac to cover the costs. It's still very annoying to export something for Mac / Apple Store though. (To be honest I *really* don't like the process with all the boring and confusing certificates crap, frequent OS updates breaking stuff, unreadable error messages and weird compatibility issues). That said, I'm ready to do it again for my next game. From a financial side, is the Linux version successful? No. Not by a long shot. The game still hasn't achieved a three-figures number of units sold on Linux. However, I think releasing a Linux version is still important. It's called supporting your audience. After all, it's pretty easy to export a working version with GameMaker Studio, and I had barely any compatibility issues. It just required some time for the testing. With all the distributions available, I only officially support Ubuntu (just like GameMaker Studio) in order to avoid trouble with exotic distributions. Who knows, someday gaming on Linux might become a real thing, maybe through dedicated gaming platforms hooked on TVs like consoles? I always think long-term. To me Demetrios, with its hand drawn full HD esthetics, will be as relevant in ten years as it is today, unlike many 3D games. Was it worth releasing DRM-Free builds of the game? Same as Linux, really. From a sales figures stand point, it just doesn't make sense - pretty much all the PC units sold came from Steam. The most annoying side of doing DRM-Free is having to manage separate builds and upload full packages for each new version on every DRM Free site... It's just much less practical than having it centralized in one unique place, which also allows to upload only the differences and not the whole thing again. Which is great, especially when you've got bad internet...! However, it's very important to offer that possibility to everyone who doesn't want all the nasty sides of DRM. Even if this means extra work. On a personal side, as a player, I do prefer DRM-Free myself when given the choice so I totally understand it, but I don't mind using Steam either. For my next game, I'll still offer the possibility but I'll focus on a single DRM Free site, most likely Itch.io. They both refused my adventure game, without giving any explanation. I half expected it for GoG (still had hope though...) considering they're very picky. Heck, I believe they even refused Undertale for months, until the fans got outraged! But Humble? Nope. Didn't expect that. They seem to accept pretty much everything and nothing, but they've always refused Demetrios. I tried several times. Why? I bet I'll never know. 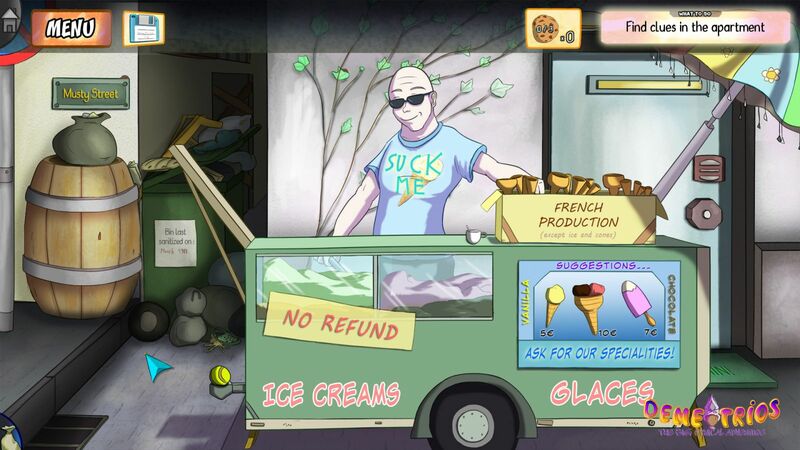 Sure, Demetrios isn't exactly top notch or selling millions, but I think it deserves a store page just for its uniqueness. Check both these stores and notice plenty of games which received much worse reception or made even worse sales, yet they're available! That's why I don't believe in a "curation" system. It can never be totally objective. If it wasn't for Steam, so many good and amazing indie games / studios wouldn't have seen the light of day. On the Kickstarter, I explicitly stated that I was interested in consoles versions, and Vita in particular. This piqued the interest of the Vita community. At that time, I hadn't done any procedures with Sony. The Vita fans recommended I reach out to Shahid Ahmad (then working for Sony and a firm supporter of indie games) He explained the procedure and helped me get a devkit! Obviously, as my first console release, this version took a "long" time to develop – about 4 months of work. I especially had to learn the (kinda convoluted) submission process through trial and error. Yes, releasing on consoles is much more complex than the "follow the steps" procedure on Steam or PlayStore and requires a good deal of communication and patience. No, don't bother touching the screen. It's a screenshot, that won't work. I also had to adapt the game for the machine. I added both controller and touch controls. But my biggest problem was performance. It might not look like it, but Demetrios was much harder to optimize for Vita than the later games I released for it! At first, the game was running sluggishly. It was taking 15 seconds to go from one room to the other. It crashed constantly. I had to resize all game assets to the screen size (544p) to fit in memory, which meant changing all the object coordinates within the game. But even with that, it was still sluggish. I had to manage texture pages manually. I added a cache for text to avoid constantly loading it. I compressed the PNG images to lower sizes. After all that, the game was running darn well! Load times were a mere 2 seconds between rooms, sometimes even instant. I'm still proud of what I achieved. 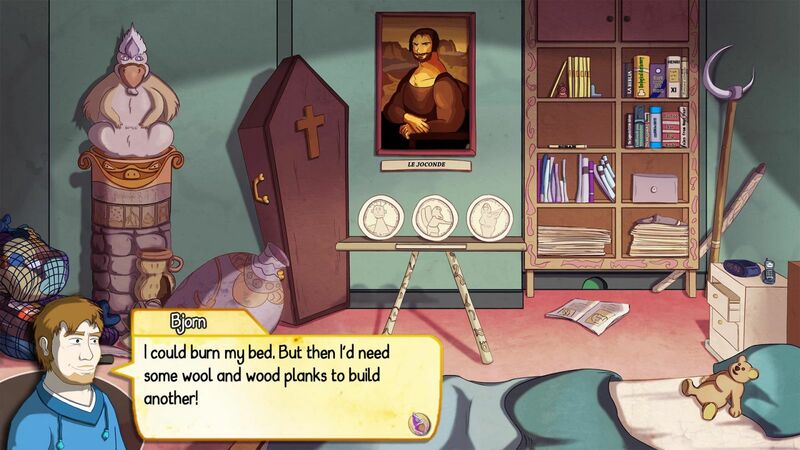 Before you ask – nope, there's no physical release of Demetrios on consoles. Much to my dismay, I could not convince any limited run physical publisher to release it. Maybe someday? A few days before release... Some reviewers noticed a problem. There was weird stuff happening. Some save games got corrupted somehow. The progress was correct but they would randomly lose inventory objects. I changed the release date at the last minute, pushing it three weeks later. I couldn't risk releasing it in that state. However... I had a bigger issue. I could not reproduce the problem! This is the worst possible kind of bug. It only happened for a few people, but none of them had any idea what was provoking it. It just felt totally random. And I had no idea either. I tried getting as much information as possible but still couldn't reproduce it. This didn't really make sense, because the PC version was working perfectly and it shared a similar code. Debugging on PC is much easier. People can just send you their save files and you can check what's wrong. You can't do that on consoles. The save files are encrypted. Actually, you can't have anyone else play your game before submitting it to certification either. Because you need test kits for that, and interns or outsourced staff to perform that task. As a solo indie dev, I just can't afford those kinds of costs. So I'm the only one who can do testing. Demetrios was released on Vita. It worked. To this day, I still don't know what caused that bug, but no one reported any problem with the Vita version so it's "fixed". Phew! Sales were pretty good on the portable console. Despite being announced as "dead" even before 2016, it still has a very strong community, and many indie and japanese game are still released. With a good reason – they still sell well enough to warrant ports! Even more important than sales is the players reception, and Demetrios was very well received by the Vita community! They absolutely loved it. I think the entire Vita community on Twitter knows about it. They're some of my biggest supporters now, and I thank them for it! The next step was to bring the game on home consoles! The Vita version allowed me to convince both Sony and Microsoft to do it and get devkits. It was much easier to get the new consoles versions available. I basically took the code from the Vita build and reimplemented the high-res PC graphics! The submission process for Vita and PS4 is very similar. I had to learn new procedures for releasing an Xbox game though (which, again, is totally different from what I knew). Again, after submitting to certification, I encountered a save bug specifically on PS4 - but a different one from Vita. Sometimes, manual saves would not be performed. The slot would show as being saved but when exiting the game, nothing was recorded. This time, I could reproduce it and was convinced this was a bug within GameMaker's export, which didn't handle closing save files properly. But I couldn't afford using another GameMaker build and risk breaking something else (Consoles devs would tell you that getting a version of a console export with everything working well is a game in itself! Not just GMS, seems like Unity is also faulty in that matter). So I found a workaround. Each time I would save, I would also load the savefile beforehand. This "forced" the OS to close the file first. It worked! Fun fact – all the console versions of Demetrios are 256 colors! So much for HDR, right? Well, one answer to this – PEGI limitations with download size. I didn't want to spend more for an age rating. Also smaller files help with load times, especially on Vita, so they're near-instant. Many people wondered – "Why isn't Demetrios on mobile? They're all the rage and Point and Clicks do well on them!" Well, I did have plans for making mobile versions from the start. I just didn't give it priority. I finally released both iOS and Android versions last year, with a different monetization on each. The game is "premium" on iOS, sold for $5 (then lowered to $3 recently), while it is episodic on Android (first chapter free, $1 each additional chapter). This choice is mostly due to different download size limitations and different customers. I was stuck for one year on a very specific problem with a shader I use as a magnifying glass. It worked well with most mobiles, but not on some others – despite having the same screen resolution. I couldn't understand why. Everything with GameMaker is pretty much hardware independent, except this. Fortunately, I focused on it for a few days, posted on the GMS forums and someone finally lead me to the solution - I managed to fix it just before releasing the Android version! The iOS version had a pretty strong start. It must have been featured in some stores and stayed in the top for "Puzzles" category for a week! After this, it went downhill. It's barely getting any sales at all now. No visibility anymore. That's the magic of algorithms. Somehow, the PlayStore gave it more and more visibility. After a few months, it has reached more than 40,000 downloads for the first chapter. The conversion rate for Chapter 2 downloads, which is $1, isn't huge (about 1-2%) but still within normal range, I believe. Many people on Android complained that it was greedy to make the first chapter free and ask $1 for the next chapter if they enjoyed it. The game is rated 4.3, but take a closer view and you'll notice all the "bad" ratings on the PlayStore page are related to this. Right. Guess I should work for free and live off fresh water! This positive cycle didn't last, and downloads are on a steep downward trend now – but at least it generated some money! So, both versions generated revenue – but as I expected, these were pretty low amounts compared to the revenues generated on PC and consoles, and it takes quite a bit of effort to release on mobile (with low tech hardware which varies, packages sizes limitations, touch interface...) Fortunately making the Vita version alleviated some of these issues. 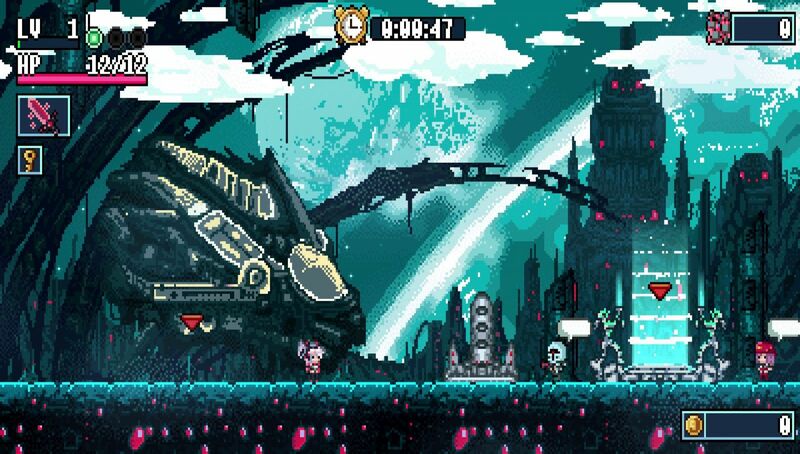 The mobile version is pretty much the Vita version retooled. Also, I fear the compatibility issues over long term. When I release a game on a platform, and there's no bugs, why would I need to update it? Well, that's a thing with Google and Apple especially. You can't just put a game on a mobile store and expect it to live forever like you would on PC or even consoles. You have to update the builds frequently for silly reasons like newer versions of the OS nobody cares about except for them bringing new bugs. Hopefully that doesn't happen anytime soon though, because I don't even have an iThing to update the game anymore. I borrowed one to export it. When I released on mobile, I found out a whole new world. A world in which no one would review your game unless you're ready to spend big bucks for it. A world in which you just cannot get any visibility unless you're (again) ready to throw money everywhere (including scammers). I still tried to market the game on mobile, but I realized the options are very limited. So yeah... Unless you're willing to spend a lot of money on advertising (and still fail to get any visibility), or you're very, very lucky, I don't think it's possible to make any real money on mobile nowadays. Not as Premium or Episodic anyway, and doing "Free to Play" crap is a big NO from my side. Never, ever. So unless my next game is a big success, I don’t know if I will bother porting it to mobile. I just don't like that whole universe filled with repetitive gameplay, pay-to-win, notifications, false free, ads, whales, loot boxes and psychological analysis to keep players addicted. The irony of this situation? 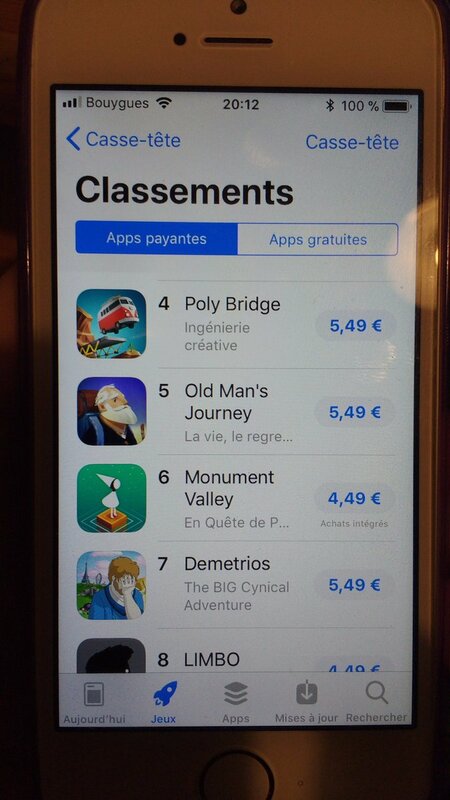 The Android version of Demetrios is probably the most played one (thanks to the first chapter free). As long as you don't intend to make profits, Android is definitely the best way to get the largest audience! I almost didn't list it, but Demetrios is also available on the Windows 10 store. Considering GameMaker Studio 1.4 support of UWP was very buggy, and it lacked support of Xbox Live functionalities like achievements, I just converted the 32 bit Windows runtime. The downside is that the game could not be featured in the "Xbox" section of Windows 10. It also means no Xbox Play Anywhere, which wasn’t available to all devs when Demetrios released last year anyway. This results into no visibility. And I mean it... I can almost count the number of units sold there on my fingers. In March, YoyoGames announced upcoming support for Nintendo Switch in GameMaker Studio. The export module should be available this summer! How do I feel about the whole experience? Cumulative, it actually allows me to make a good living now! 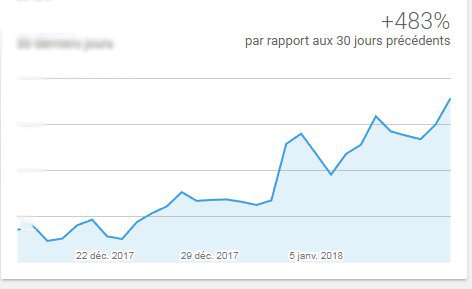 In the long term, with many discounts and new releases added progressively, my revenue went from a "barely making any money" to "very good, outperforming my previous job!" Not only did I turn a profit, but I now have a lot of experience. That's why I think you should take all these "after a month, my game sales are a disaster" reports with a pinch of salt. The only way to know if a project is successful is in the long term. A disastrous launch is not the end. 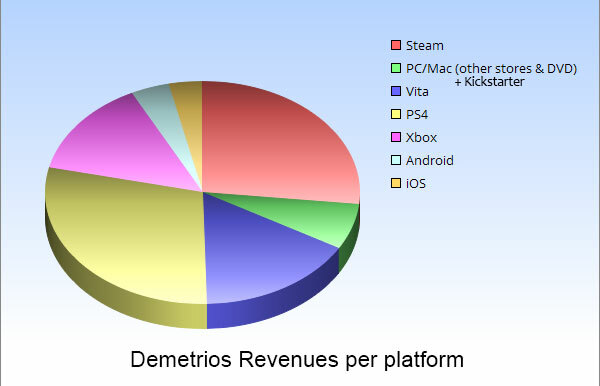 Demetrios's launch revenues on PC weren't even 10% of the total sales of this platform, and it keeps selling. Demetrios was destined to be one of those gamedev commercial failures, yet I forced my way through to make it successful enough. 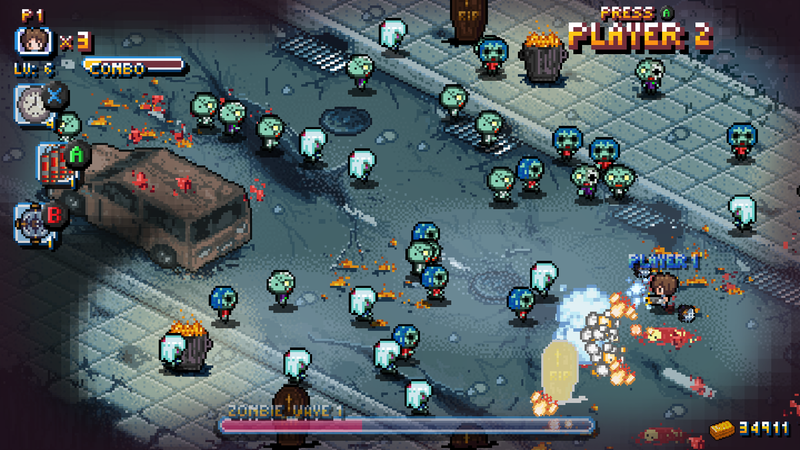 If you manage the after-release cycle of your game correctly, you can do fine. I'm certainly not rich, but I can do pretty much everything myself – programming, art, music, scenarios, marketing, accounting, console ports, publishing, contracts... I can make my dreams come true (and some of them already have), and I've learnt so many skills! Of course there is more competition than ever, which means... I gotta improve and do everything better! I'm ready for this! Four years ago, I made the decision to leave my day job. I do not regret that decision! Actually, I've been quite busy since the release of Demetrios! I have (unexpectedly) become a publisher, as I have ported two games from another solo developer (Diabolical Mind) on consoles : Xenon Valkyrie+, an old school roguelike, and the upcoming Riddled Corpses EX, a fun twin-stick shooter! Both are available on PS4, Xbox One and PS Vita. I didn't just port these games - I improved them! Riddled Corpses EX in particular is what you could call a remaster, considering all the changes performed. Both would be worth dedicating a Post Mortem to at some point. 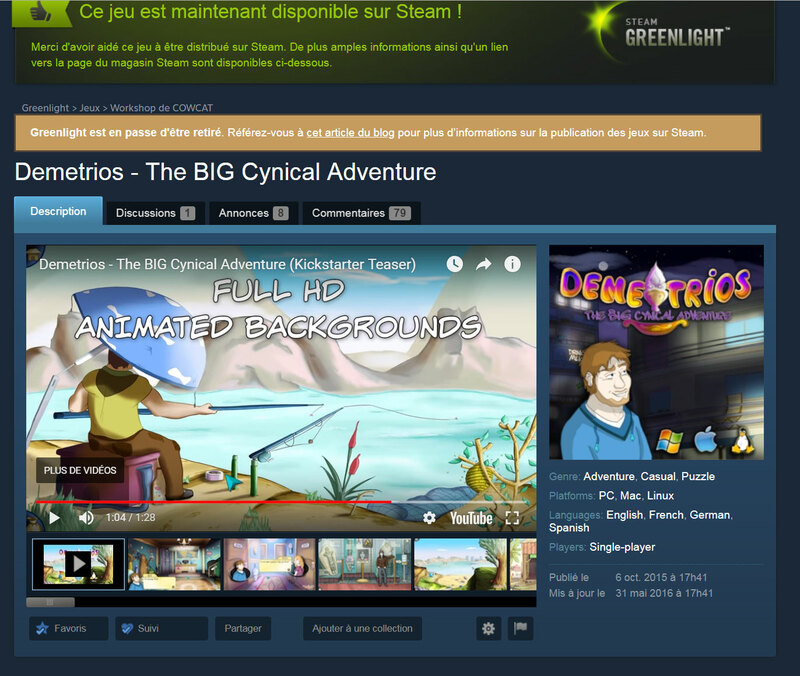 Although these games are far from being hits in terms of sales and criticism, just like Demetrios, they're good games well appreciated by a small fanbase and I am very happy with the collaboration! 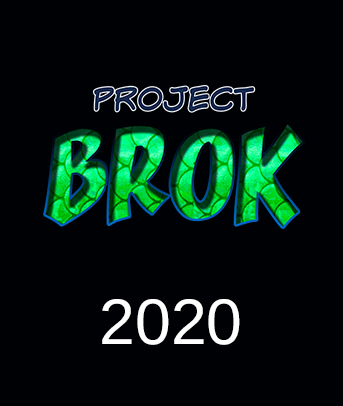 Aside from these ports, I've been working on a brand new adventure game with the codename #ProjectBrok – a very ambitious and unique one! It's a combination of genres that has never been done AFAIK – or at least, never exploited in such depth. While I intend to pour a bigger budget into it (I intend to have full voice acting for example), and it's a lot more ambitious than Demetrios, I will stick to doing most of the work myself. Not having final graphics makes changes much easier and avoids getting lost in the details – which is a very common problem when you're a single dev and you have to handle everything. The downside? I cannot show any "near-final" screenshots, as most of it is still placeholder art. It would probably not be a good thing to announce it so early anyway. No gamer likes to wait for years before playing a game! I expect it to be better in every single way and to generate much more interest than Demetrios ever did with its unique concept – but not only that! Without giving away too much, I'm making sure this one has a lot of replayability. There will be some branching paths / alternatives (without straying too much from the main path though, these can quickly become overwhelming and I still want to complete it someday!) I particularly like offering choices you might not even be aware are actual choices when playing! I've made sure to take into account the feedback from Demetrios – keeping things that worked well and avoiding things that didn't. 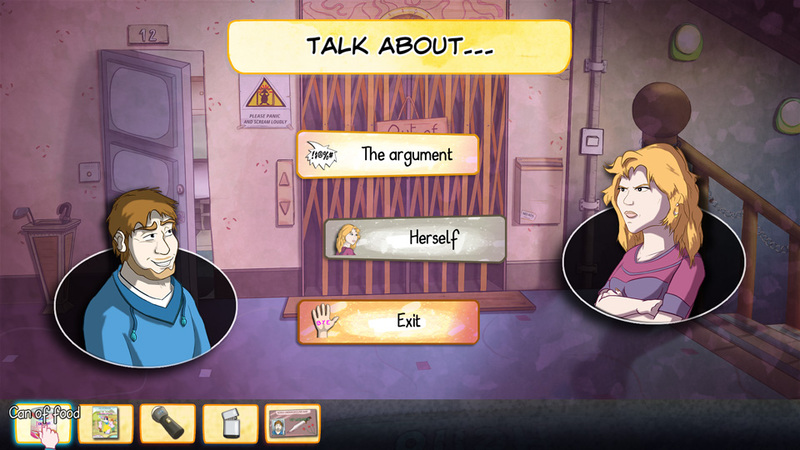 For example, the characters have a lot of depth with multiple sides, they care for each other and should be very likeable despite having inner problems, and the scenario and universe are fully fleshed out (yes, Demetrios had a very basic scenario – that just wasn't the most important thing for my teenage self) From a gameplay side, you can expect a similar hint system to the cookies to return – but in an improved way! Sometimes it feels like there's so much work ahead that it's frightening, but I keep reminding myself - as long as I do progress a little every day, the goal gets closer. Hopefully a release in two years? Interested to know more about my upcoming game development? I'm especially active on Twitter, so be sure to follow me there!